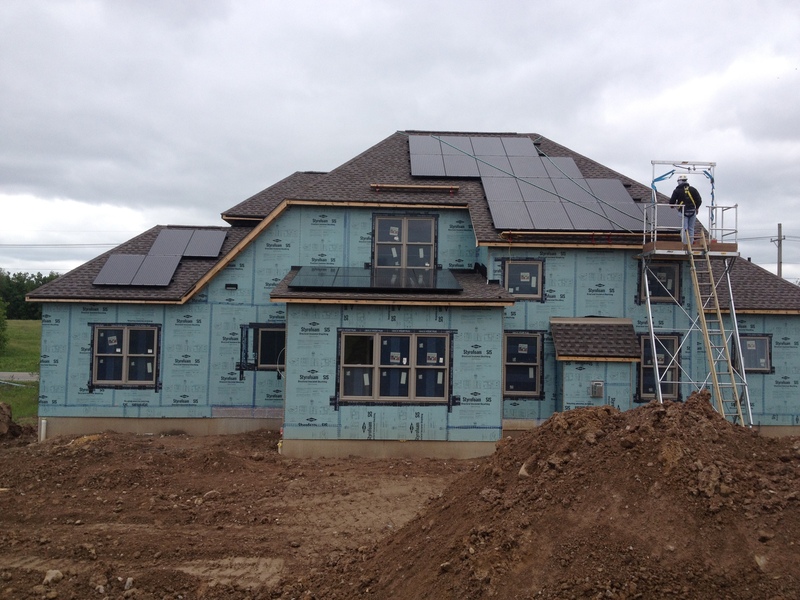 Solar Dec is designed specifically to support the installation of solar panels on rooftops. 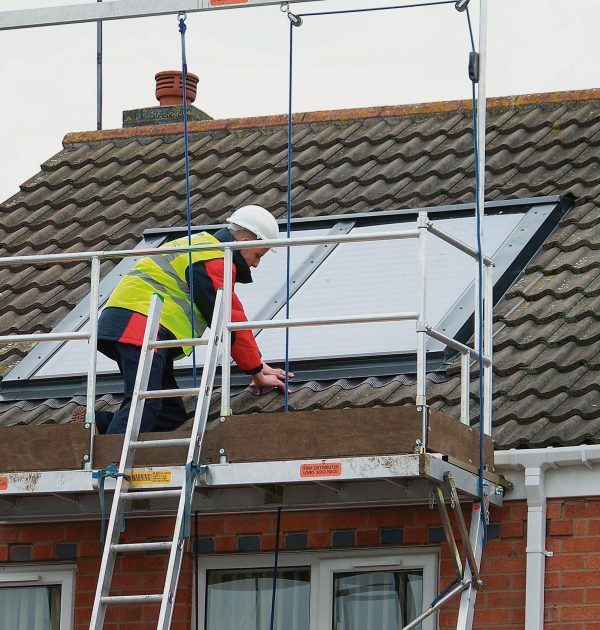 The system integrates a hoist and trap door in the platform to allow solar panels to be easily lifted to the rooftop for installation. The foundation of this system is the Easi Dec base system. 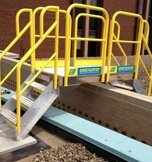 This safe access work platform is an outstanding alternative to traditional scaffolding given its portability, speed of assembly, customized functionality and designed-in safety features. 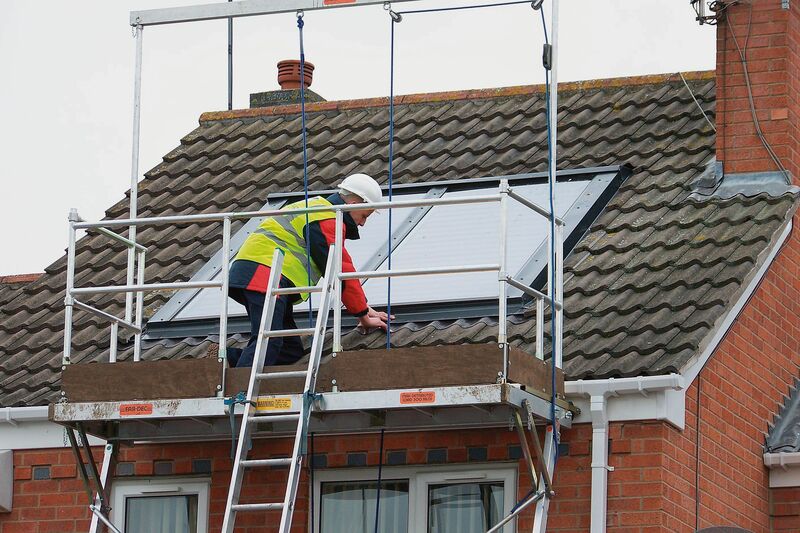 The system also supports general use and offers a 6.5 ft platform. 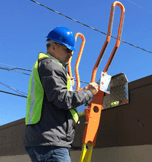 The system comes standard with 18 ft legs that support platform heights between 11 ft and 18 ft.